I have been on a four day spree of field trips at my elementary school. I teach gifted students so each day I teach a different grade level and we take each grade level on a different field trip. The fifth graders get to go on two field trips with us. If you’re counting, that makes six fun-filled days. Six, I tell ya! 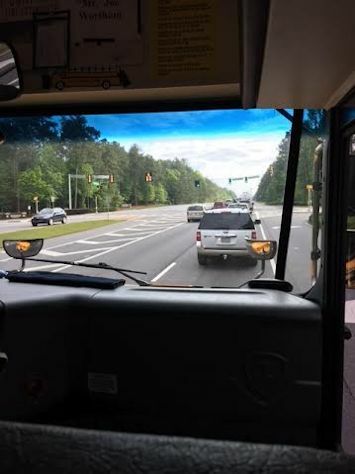 We decided this year to try putting most of the field trips in one week to see if it made it any less painful to take 6 field trips in every year. We thought it might be like ripping a band aid off all at once rather than painfully anticipating each and every one. I’ll let you know the verdict when the trips are done. I do enjoy the break from the classroom and our students are WONDERFUL (parents, too) but field trips are a lot of work no matter how terrific the kids act. 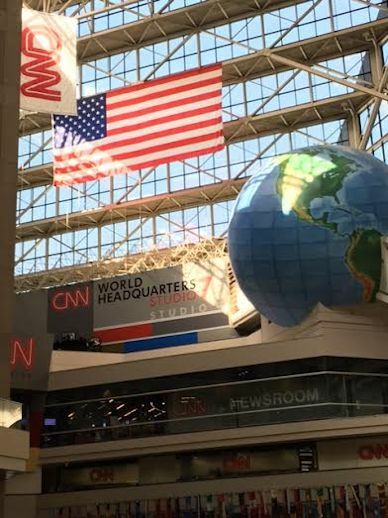 First up was the CNN Center in Atlanta. Off we go on the Big Cheese. I jump in the front seat because…I can. Get up kiddo! Go sit in the back and sing 99 Bottles of Coke on the Wall until I have a headache. The perks of the job never end. 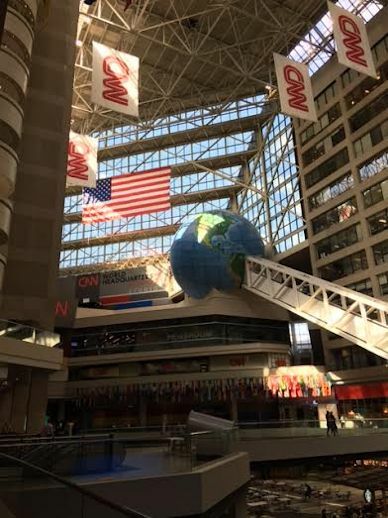 At last we arrive at the CNN Center. 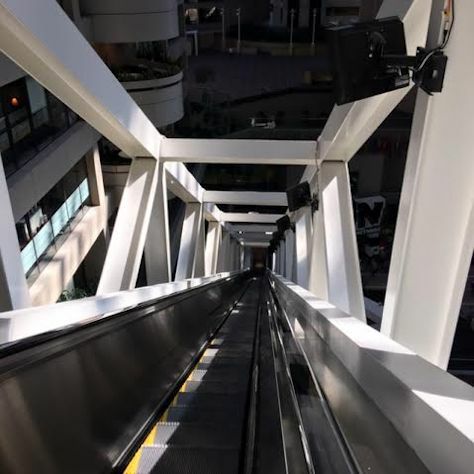 We got to ride the 8 story escalator to the top to start our tour. This is the largest freestanding escalator in the world. It used to take you to the World of Sid and Marty Krofft in the 70’s.  Remember H R Pufnstuf? Who’s your friend when things get rough? Side view of the elevator and its 196 feet of moving stairs. There are no supports for 8 floors. It is all that’s left of the Amusement Park. Up I go. There was no one behind me to catch me as I imaginarily tumbled back to the bottom. No worries though. It was a fun ride and I made it to the top. We got to see studios, control rooms, and lots of security guards. Lots and lots of security guards. 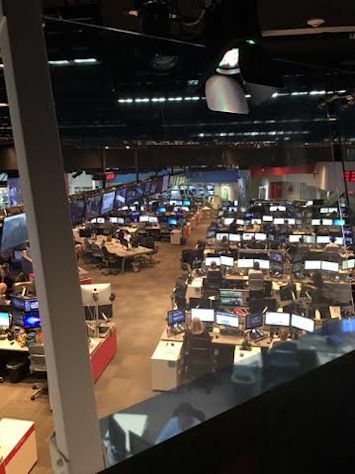 The news is safe in Atlanta! As you walk along the balconies you can look down on the food court which was the site of the former ice skating rink when the building was called the Omni International Complex. We went there many, many times in the late 70’s. Apparently my little band of friends was the only one going because the Omni closed and Ted Turner bought the complex for CNN in the mid 1980’s. Here is what the “skating rink” looks like today. 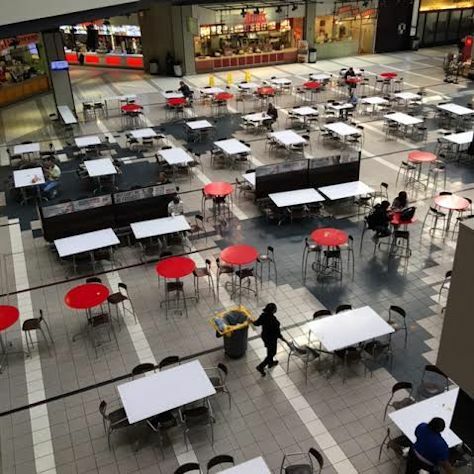 The dark tiles of the food court are loosely shaped as the different continents. You are looking at South America on the bottom right of the photo. I think. 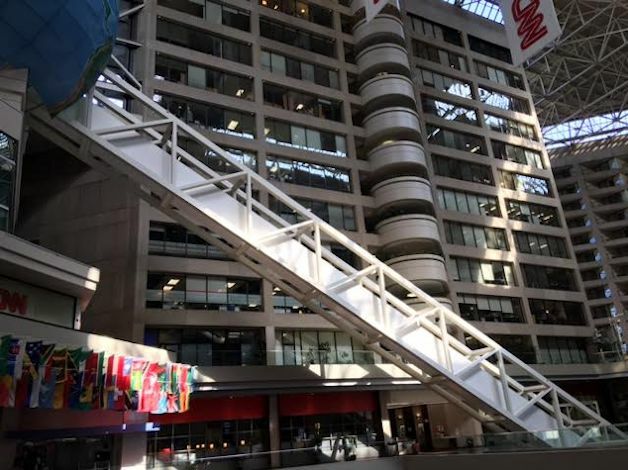 The building is pretty big and we made our way back down the eight flights of stairs equivalent to the escalator ride up. 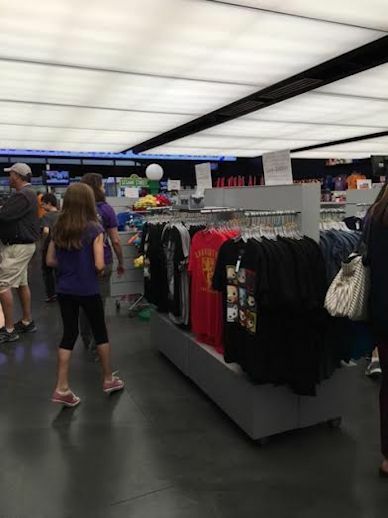 The tour dumps you out in the gift shop. Imagine that. 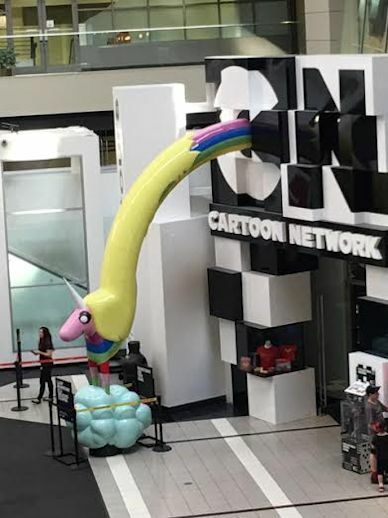 Turner Broadcasting also owns Cartoon Network. There was another gift shop just for the kid in all of us. We then walked across the street to the Centennial Olympic Park. 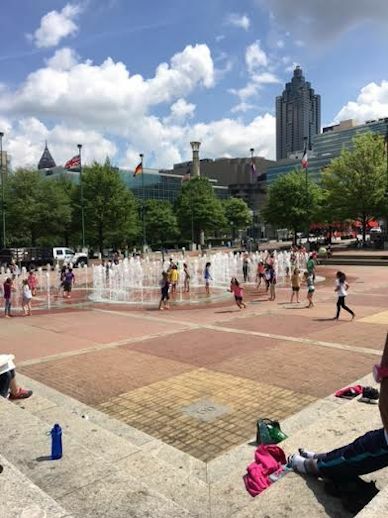 It has been 20 years since Atlanta hosted the Olympics but the park is still a big attraction. 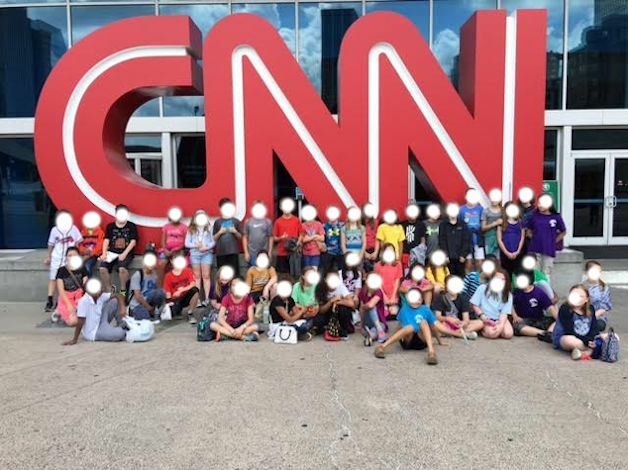 We posed for an iconic photo in front of the CNN building, hopped on the bus and headed back to school. We didn’t leave anyone behind and we only needed one real band aid for the day. The imaginary one is ripping off with each successful field trip completed. (The first one was in January to the Shakespeare play and the second one was in March to the College Football Hall of Fame.) We are half way there. Three more to go. Tomorrow is the Atlanta Botanical Gardens. Do you like my faceless students? Maybe this is the solution to 99 Bottles of Coke on the Wall. I can erase their mouths. If only it were that easy. IT,s hard to believe that the olympics were 20 years ago!!! This is really interesting since I’ve never been there. This really brought back memories to me. When we moved to Atlanta this was here or being built. You can imagine that I want to print this out and keep it to remind us of what used to be. There was a place also at the center where performers performed. One night Elvis was entertaining and didn’t buy tickets but we were there for a good time. I opened the door about an inch and watch Elvis for a minute. When I tell that story nobody can believe that one could open a door since we have so much security now. Could you let me know what the name of the place was called. Thanks. 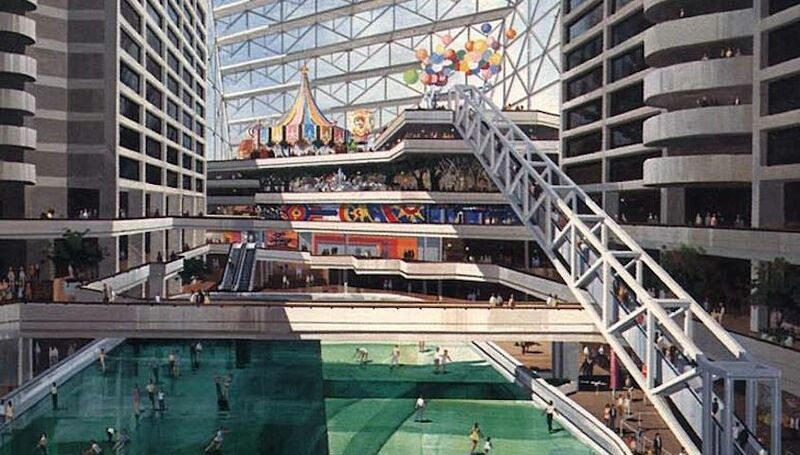 It was the Omni International Complex. We had so much fun there ice skating and eating dinner in the restaurants. At least they haven’t torn the building down like so many other buildings in Atlanta.